Kevin the Quilter's Quilt of Valor Block Drive!!!!! 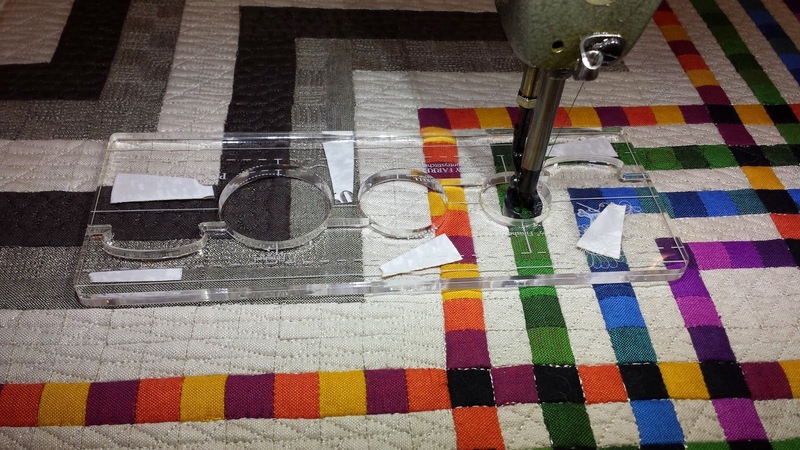 My Modern Mini is pieced, quilted, bound and shipped to MQS!!! So, because I never play totally by the rules, I made a few changes. I love it, Jamie loves it, and that is really all that counts... but, I hope you like it also and OK, the judges too. 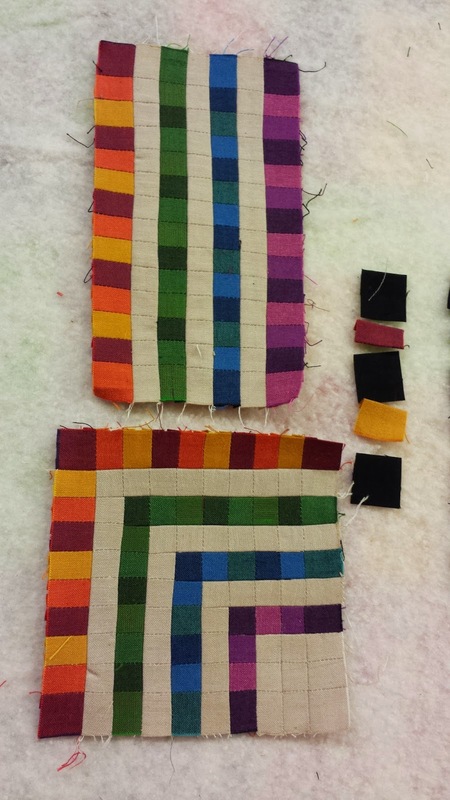 The colored squares and background squares measure 1/2" x 1/2" and the brown squares are 1" x 1". The quilt finished at 24" x 24". I added 7" corner squares for negative space. And the fun begins... Quilting! The idea was to keep it Modern, so some pebbles and LOTS of Ruler work. Lines, straight and curved and crossed. A little checkerboard never hurts. Crossed design in each 1/2" square repeated in 1" square, sort of. Large (7"x7" lol) negative space filled with 1/8" lines. 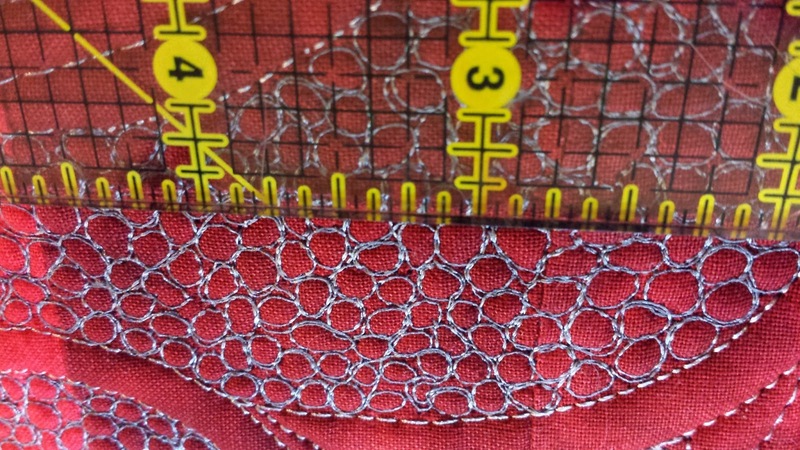 Tiny 1/2" circles in each square using my new favorite ruler by Dusty Farrell, available at Country Stitchin. Then each color's circles were filled different. 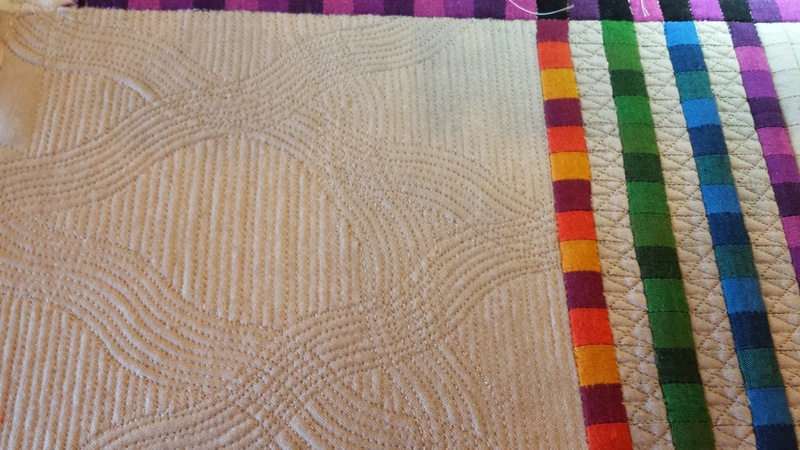 BUT, I did not take a picture of the finished quilt! Since it had a deadline to be mailed, I pulled an all-nighter to get it finished. Around 6:45AM it was done. 2 hours sleep and off to UPS to ship to MQS show in Wichita. So, I now have to wait till Wednesday, April 2 to see it. If you happen to be in Wichita next week, come check out the show! 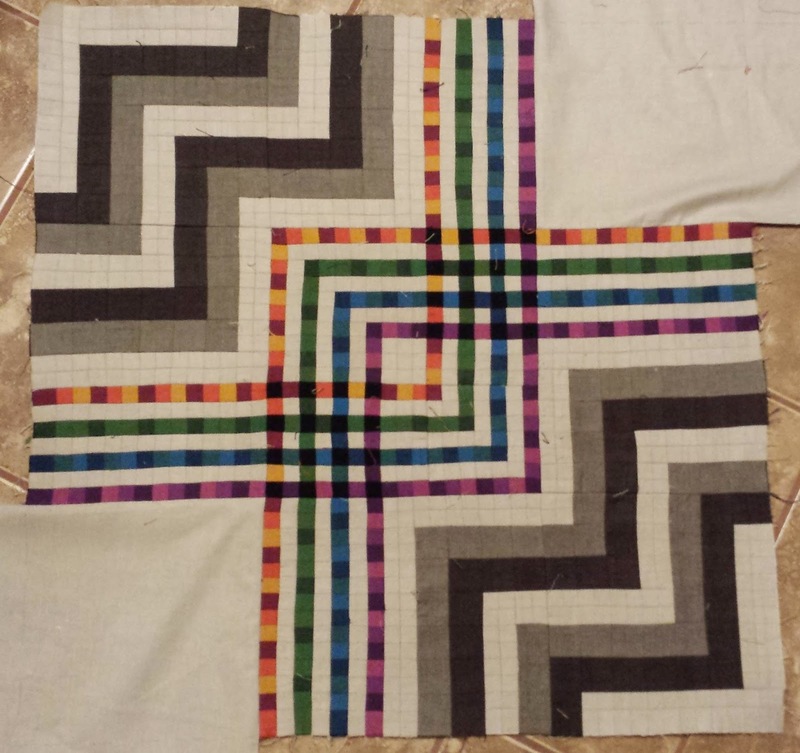 Oh my goodness all that in the 24" square quilt. Good luck, it sure looks like a winner to me! Good luck to you and Kevin also, it sure looks interesting, can't wait to see it. Ann! Thanks for the shout out, and the prize donation! Your mini modern is beyond belief! I still can't believe you did most of it by hand! 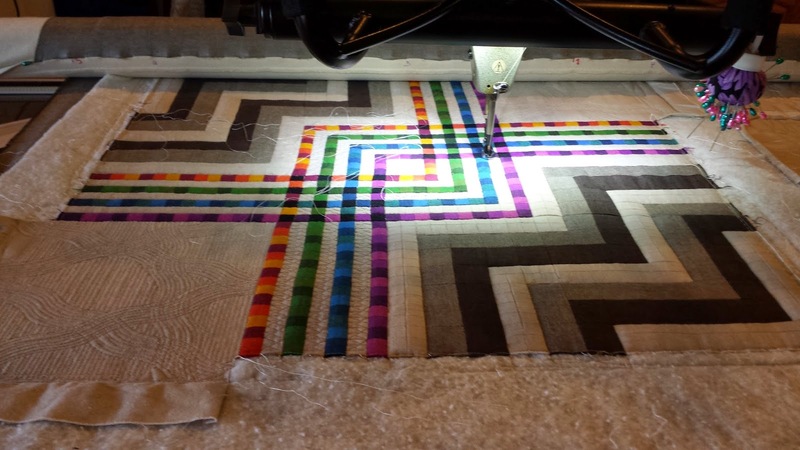 I can't wait to see our quilt in Wichita! YIKES!!!!!!!!!!!!! What is the name of that ruler from Dusty? I can't find it on his website and I'd love to order one!! 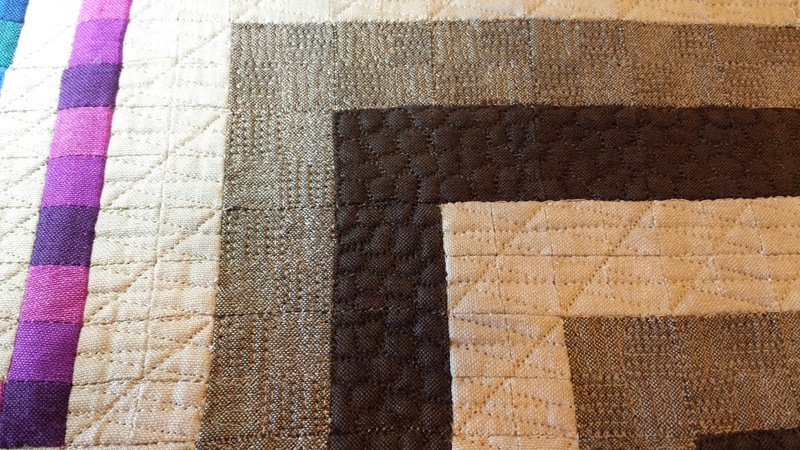 Love your quilt and I can't wait to see the whole thing and all the close-up pictures! 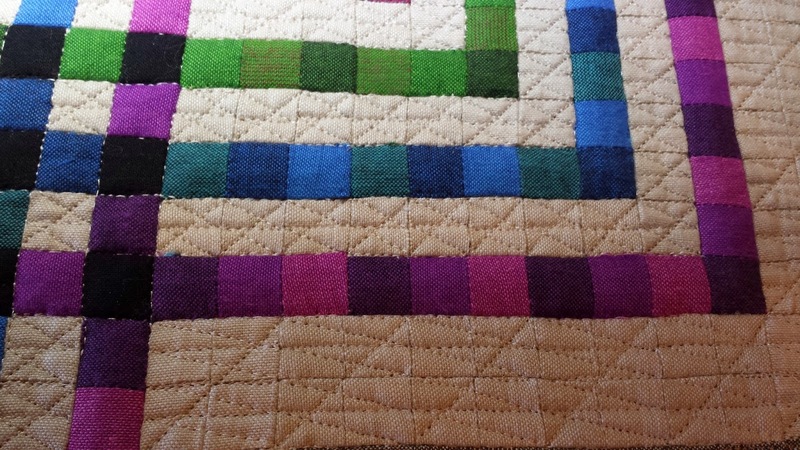 Gorgeous quilt and the quilting - oh laa laa!! Love it!